Art to wear! 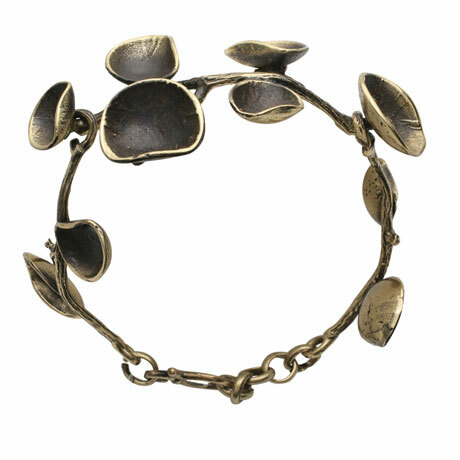 Individually handcrafted and sculpted out of bronze to create unique organic shaped lily pads that lay beautifully around your wrist. Curved and jointed to fit comfortably. 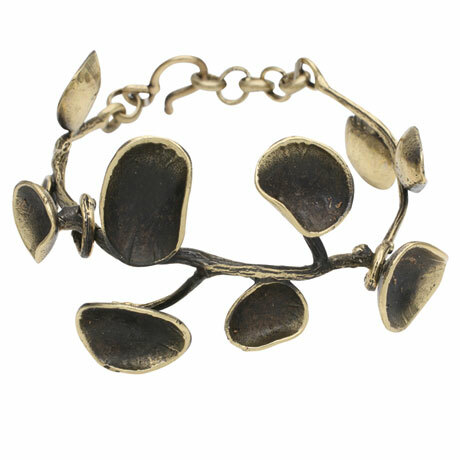 Adjustable for 6 ½ - 7 ½"wrists. Oxidized and hand buffed for a deep rich finish. Nickel and lead free. Handcrafted hook and eye closure. Made in Turkey.